Odoo is a business management software, which supports all kinds of business communication platforms. The subscription business model is a model where a customer must pay the subscription price to have an access to a product or service. 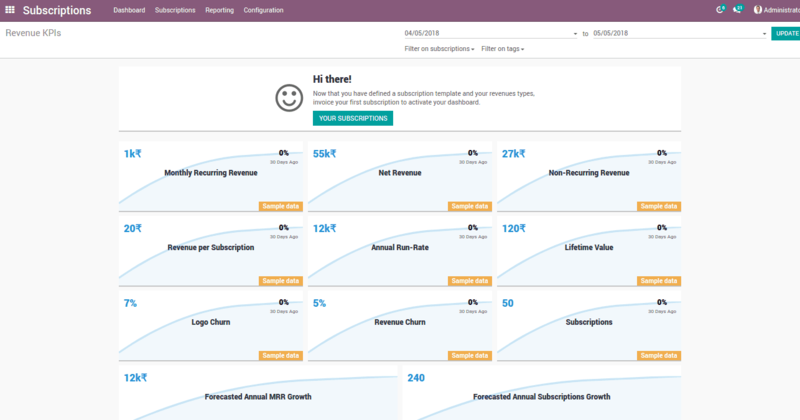 Odoo has an excellent subscription management system to handle subscription business model. 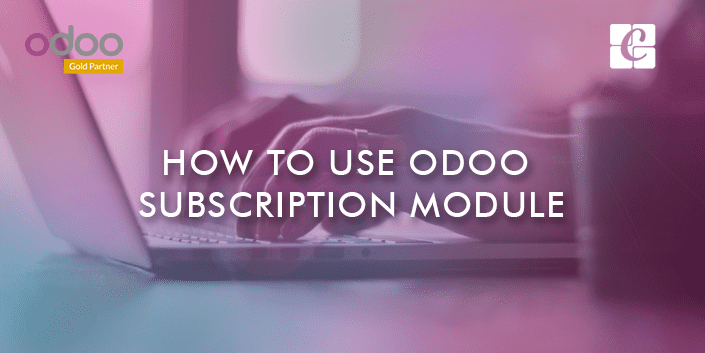 This blog explains how to use odoo subscription module. 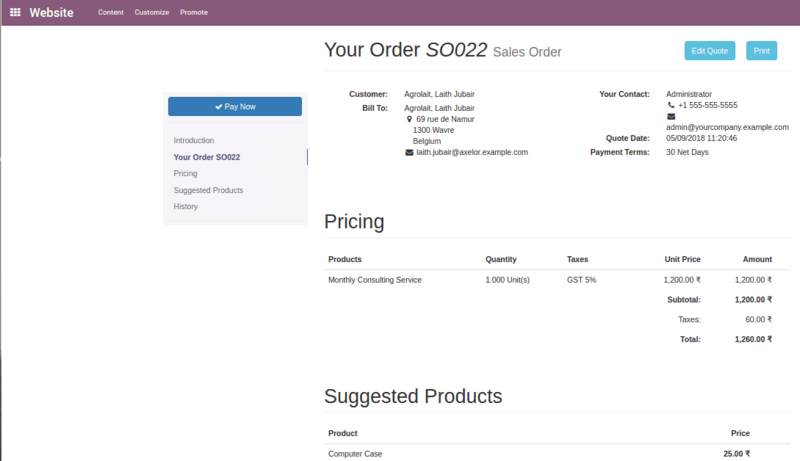 Odoo subscription module comes only with enterprise version. Here I am explaining the module in administrator point of view that means access to all models. How to Sell a Subscription? 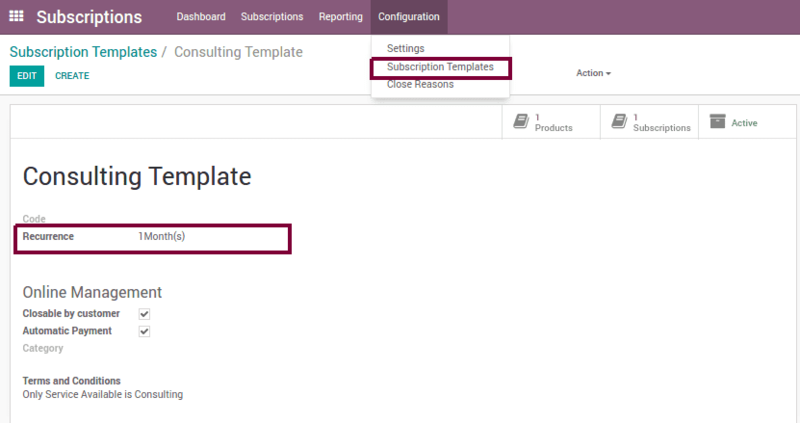 In order to activate a subscription first, you have to create a ‘Subscription Product’ followed by a ‘Subscription Template’. Later assign this template to the subscription product. To tie all these and to sell the subscription we have to create ‘Quotation Template’ under the sales. We can create this product from inventory also. Here if we untick ‘Can be Purchased’, this cannot be purchased. If we are creating from inventory, it will be automatically done if we tick ‘ Subscription Product’. Now we have created a subscription product ‘Monthly Consulting Service’. One can see that the product is already assigned with a ‘Subscription Template’. Automatic Payment: If set, payment will be made automatically and an invoice will not be generated if payment attempt is unsuccessful. Now we can assign this Subscription Template to different subscription products as explained above. For enabling this we have to activate a feature from settings. After enabling this, We can create a Quotation Template. ‘Quotation expires after’ is the number of days for the validity date computation of the quotation. Here we can add the Subscription products which is already assigned to the subscription template. Also, you can add suggested products to be listed along with main product as a suggestion. Once we finished creating quotation template, we can sell the subscription. For Selling the subscription we can create a sales quotation. We have a new field in the quotation to add the quotation template. We can choose quotation template at the field ‘Quotation Template’, then order lines and the suggested products will be automatically based on the data we configured for that particular quotation template. Now we can save the quotation and confirm the sale. Once the quotation is confirmed, a new subscription will be created for the customer. You can click the ‘Preview’ Button to view it from the website. Either you can create this from Sales or you can create it directly from Subscription App. We will have all information on next renewal date, Status of renewal, Invoice details etc.. Subscription is made successfully, Now you can renew it periodically or close it as per the need. You did not explicitely specify that the first invoice should be sent manually and after that, it will be done automatically according to your recurrence value. 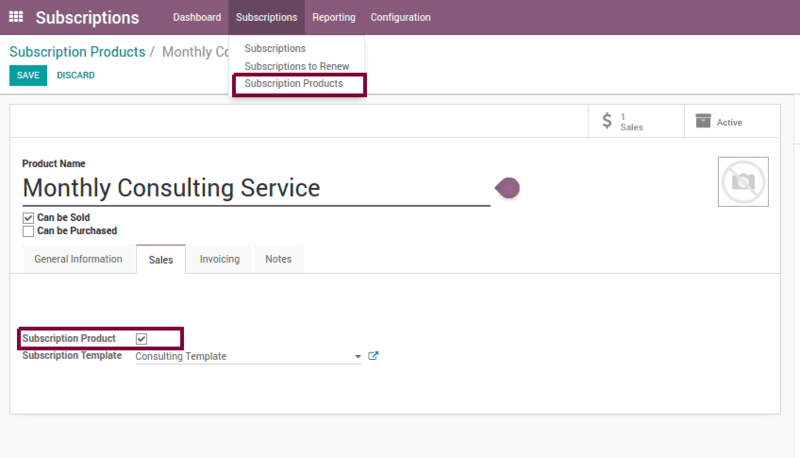 Odoo Subscription module generates invoices for prepaid period. Therefore, the forst invoice should be created following the normal flow of a SO. Thanks.